This extra receiver is compatible with the EDGE system and should be purchased and used to expand the complete 1-dog EDGE system to a fully functioning 2, 3 or 4-dog system. (Purchase as many additional receivers as necessary.) There are several features that make the EDGE an excellent expandable choice. 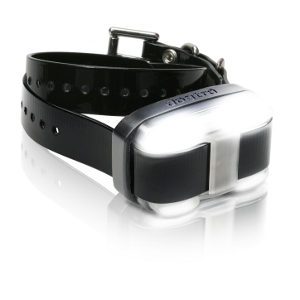 First of all, the collars/receivers have LED location lights that are color-coded to match the transmitter buttons and will make it possible to see the dog you wish to control. Secondly, the contact points on the collars/receivers can be extended for use with dogs with longer coats. These attributes, as well as the dependability of Dogtra, combine to make this remote dog training system an excellent option for trainers looking for a system that can grow as their needs do.